When you find the 8th and final scroll in the Ancient Ruins quest return to the Leopard in the University. Click the Leopard and he’ll ask if you want to start an Animal Adventure. Select yes and you will be returned to the Puurincess Kitty. Be sure and have the same Furry Friend with you that you had when you started the quest! 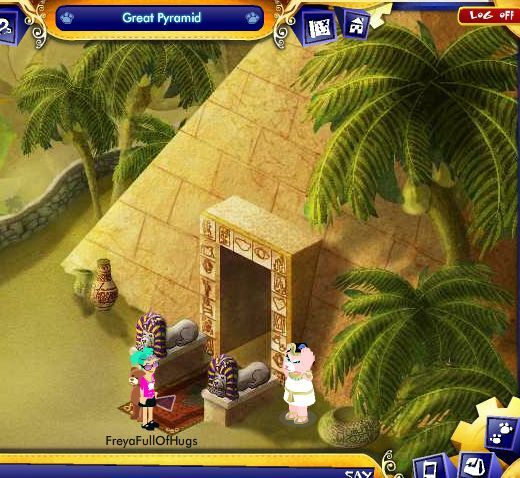 Enter the Great Pyramid and unscramble the puzzle! 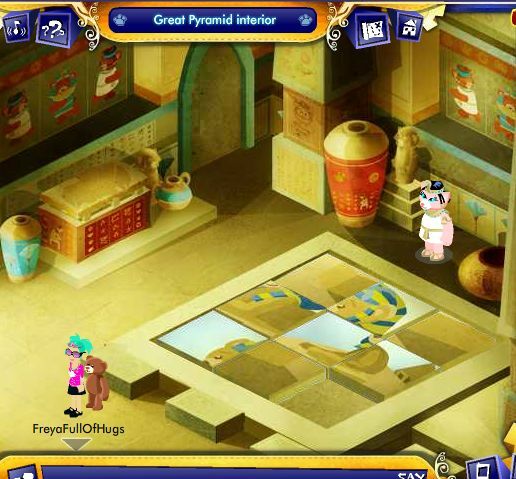 If you do not see Puurincess Kitty at the Great Pyramid entrance you have not found all the scrolls or you do not have the same Furry Friend with you when you started the Quest. 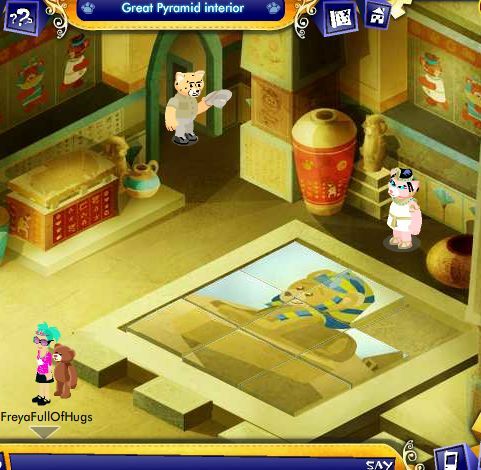 When you see Puurincess Kitty enter the Great Pyramid to complete the Quest. Click and drag the tiles to move them around to solve the puzzle. Congratulations! Click on the Leopard to get your Furry Friend Exclusive Item! Now you can start all over at the Libeary with a new Furry Friend that you have registered with an Animal ID and Key Code from a birth certificate. 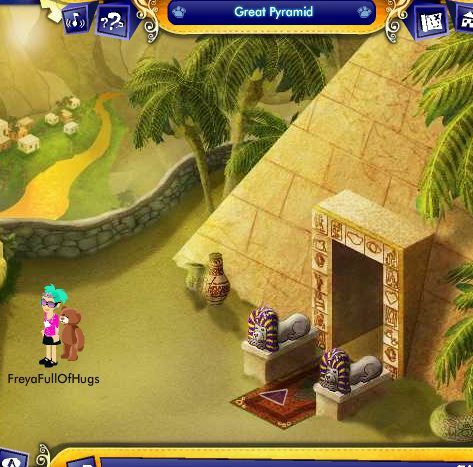 Note: General comments, questions or more hints are always welcome – you can post on the Quest page.